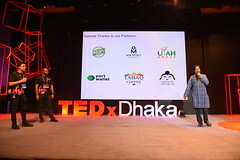 TEDxDhaka is an ‘independently organized TED event’ in Dhaka, Bangladesh organized by a prolific group of TEDsters and TED enthusiasts. 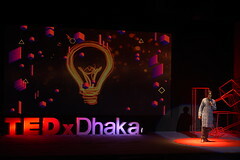 TEDxDhaka is organized under the license and guidance of the TED Conferences LLC, New York, USA. 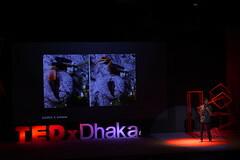 The first TEDxDhaka was organized on June 25, 2009 in the Open Design Studio of the Department of Architecture of the University of Asia Pacific, Dhanmondi, Dhaka. The informal event had around 70-80 attendees, mostly architects and students of design. 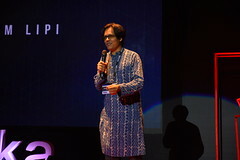 TEDxDhaka 2009 became a great place for the designers’ community to connect and network with a diverse range of attendees from other activities and disciplines. 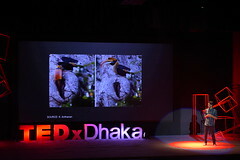 TEDxDhaka 2009 was mostly based on showing TEDTalks, with an an explanation of the talks before and a discussion after to introduce ‘TED’ and the concept of ‘ideas worth spreading’ to the audience in a more intimate manner, since most of them had never heard of TED before. 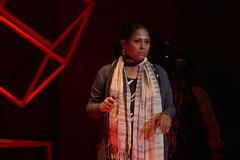 Know more about the first TEDxDhaka on TED.com, Background of the first TEDxdhaka. And it continued as an annual conference with occasional small events in-between. Check out the Past Events page to learn about those events and the talks videos. 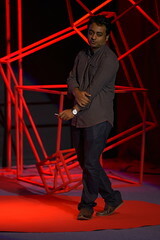 TED began in 1984 as a conference devoted to the converging fields of Technology, Entertainment and Design (hence its name). Over the years, the scope has broadened and the ambition level constantly raised. We now seek to bring together the world’s leading thinkers and doers, no matter what field of endeavor they are working in. All knowledge is connected and TED has become the place where you can discover leading edge thinking in numerous fields, and how this relates to your own life and work. 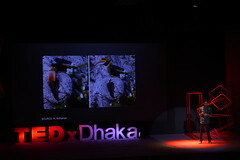 For many attendees, the result is: delicious, unexpected connections; extraordinary insights; powerful inspiration. Past speakers and performers have included have included Nobel laureate Al Gore, architect Frank Gehry, primatologist Jane Goodall, musician Paul Simon, Amazon founder Jeff Bezos, Genomics pioneer Craig Venter, Tiananmen Square organizer Li Lu, biologist E.O. Wilson, playwright Eve Ensler, photojournalist James Nachtwey, Nobel laureates Paul Berg, Murray Gell-Mann and Jim Watson (of Watson & Crick), Lost producer JJ Abrams, jazz musician Herbie Hancock, Tipping Point author Malcolm Gladwell, eco-architect William McDonough, architect & sculptor Maya Lin, evangelist Billy Graham, cellist YoYo Ma, Segway inventor Dean Kamen, Google founders Sergey Brin and Larry Page, graphic designer Stefan Sagmeister, former president Bill Clinton, and leadership coach Tony Robbins. We also seek out emerging artists, scientists and thinkers, introducing them to the TED community well before they hit the mainstream. After all, TED is about much more than famous names. It is about passion, laughter, beauty, ingenuity and ideas capable of changing the world. Our presenters may run the world’s most admired companies or design its best-loved products; they invent world-changing devices, and create ground-breaking media. They’re trusted voices and convention-breaking mavericks, icons and geniuses. 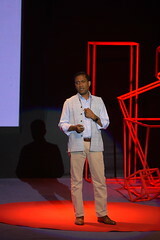 AND… TED’s audience is as extraordinary as its speaker line-up: Internet pioneers (including the founders of Google, Amazon, eBay), movie producers, architects, creative directors, CEOs, perhaps a dozen billionaires, authors, investors, celebrities, philanthropists and leading opinion formers of every kind. Indeed TED2009 sold out its 1,400 spaces a full year ahead of the conference. What began as a for-profit endeavor, in 1984, was sold in 2001 to Chris Anderson’s private foundation, devoted to leveraging the power of ideas to help make a better world. 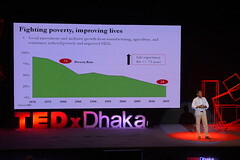 Since then TED has begun distributing its content online, free to the world, and has introduced the TED Prize, in which three individuals each year are granted “one wish to change the world” which they reveal at the conference. 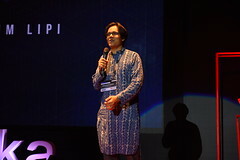 (see http://TEDprize.org).